Because hearing is believing, set forth as recordings below are some of Cy’s brilliant musical creations. As you savor these, consider the other tangible artifacts of Cy’s artistry happily left to us: the physical records or other recording media that he produced as a famed recording artist; the sheet music he wrote, published and unpublished, in which he proffered his dazzling arrangements and compositions for other musicians to explore; the publicity files, of photos, articles, correspondence, and the like, all chronicling a fascinating but sadly truncated career in music during the Great American Songbook’s halcyon days; and miscellaneous memorabilia reflecting the ephemeral quality of a musical life richly lived. All these and more may be enjoyed in the other chapters of this website. For now, pray enter Cy’s musical world, in the most immediate manner now left to us: listening through the recorded media yet extant, and experiencing firsthand the joy of Cy’s musical genius aflight. Please note that it may take a moment after clicking the Jukebox link for the piece to play as it uploads to your computer — but fear not, the wait is worth it! Cy was the first pianist (other than perhaps Jerome Kern himself) to have played this incomparable standard. When participating as orchestra pianist in the rehearsal performances of the 1939 play “Very Warm For May”, Cy was approached one evening by Kern with sheet music in hand. Informing Cy that he had just written this piece and that it would be going into the show the very next day, Kern asked him to play it. Cy did so, moved to tears by its beauty. Here are two versions of Cy’s arrangement of this beautiful piece, as played by Cy over the years. The Astaire was written by Cy, with lyrics by Andrew Rosenthal, and scored as a solo piano piece and in an orchestral version. As the name inplies, it was written in honor of Fred Astaire’s having created a new dance that was to be part of his launching of the Fred Astaire Dance Studios. We are fortunate to have versions of this song as performed by Cy and Stan on duo pianos; as performed in an orchestral version with Benny Goodman and Fred Astaire himself on vocals, and as performed by Jack Smith with Cy on the piano. Named after Cy’s second daughter, this original composition by Cy presents a classical waltz melody and tempo. This is a song from Cy’s appearance on the October 27, 1946 Frank Sinatra “Songs By Sinatra” show, with some instrumental accompaniment. This devilishly difficult composition by Cy has a sprightly rhythm deliberately placed off-beat with an enchanting melody that permeates the piece. A rendition (in German) of the famed Three Penny Opera song, sung by the legendary Marlene Dietrich. An original composition by Cy, listeners to his radio programs would recognize this as an introductory theme that he often played. The version set forth below derives from a 1948 Lira Panamerica radio transcription disc recording. This recording of this beautiful Jerome Kerns/Otto Harbach number is derived from Cy’s “Hits From The Great Astaire-Rogers Films RCA Camden LP (1960). Originally composed by Cy (music and lyrics) as “One Fine Day”, this song is most famous for the version performed by Mabel Mercer as vocalist. The second version offered below showcases Eileen Farrell on vocals with Cy accompanying. Obtained from an Armed Forces Radio Services transcription disc of the Piano Playhouse Radio Program, Cy performed this as one of his solo songs during that show’s broadcast. Also obtained from an Armed Forces Radio Services transcription disc of the Piano Playhouse Radio Program, Cy performed his arrangement of this classic as one of his solo songs during that show. Hoagy Carmichael’s classic was performed by Cy during a March 25, 1950 Voice of the Army radio broadcast hosted by Hoagy . Taken from a September, 1941 WOR broadcast, this arrangement of Tea For Two is clearly Cy’s own, as announced by himself as such. This is a medley sung by Frank Sinatra with accompaniment by Cy on the October 20, 1946 “Songs By Sinatra” show. 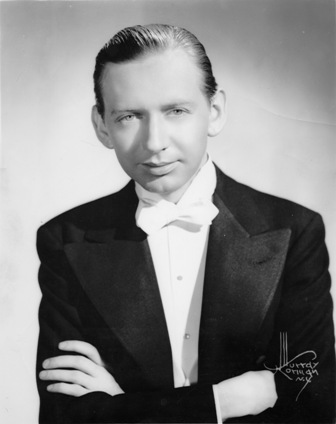 The Walter family is aware of one commercial recording by Cy, solo, of “While We’re Young”, appearing on the “Holiday For Keys” 1951 Columbia album. This is the first version of this song offered below. There also exists a duo-piano recorded performance of the piece by Cy and Stan Freeman, as recorded on an undated Armed Forces Radio Services Piano Playhouse transcription disc (program number 72). This disc has been shared by Alex Hassan and transferred/remastered by master audio engineer Seth Winner, with the happy result that we can also share this performance with you (the second version below). Enjoy!! The first Rachmaninoff piece played by Cy and offered here is from the Second Piano Concerto by Rachmaninoff, and comes from an NBC Radio Thesaurus disc. The second piece is “Variation No. 18 from Rachmaninoff’s ‘Rhapsody and Variations On The Theme From Paganini’ “. Two versions of this hauntingly beautiful piece were played by Cy on radio programs over the years, highlighting his classical training and becoming a signature song on his shows. These are shared below, one from a WLOS broadcast, and the second as performed by Cy on the March 11, 1947 Jack Smith Show. The third version here included is from an Apollo Records 78rpm disc numbered 1135 which was initially included in Cy’s 1947 Apollo album, “Cy Walter At The Drake Room Piano”. Due to a licensing imbroglio that arose just as the album was to be released (the license holder refused to permit any recording of the piece that was not exactly as Rachmaninoff had penned it), the disc was pulled and a different song, “The Song Is You”, was supplanted instead.